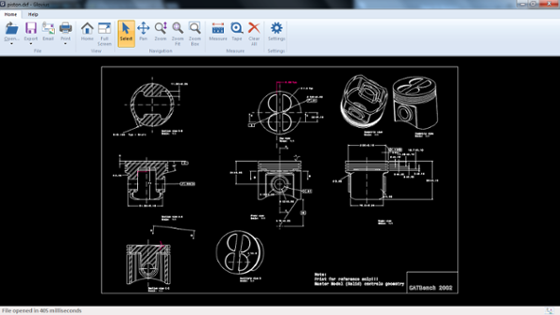 Your Glovius license also comes with a free 2D Viewer that supports popular 2D file formats CATDrawings, DWG and DXF. View 2D files and measure length of edges, distance between edges and radius of circles or arcs. Use tape measurement to calculate total length of multiple edges and arcs. Export your 2D drawings to PDF for record keeping.